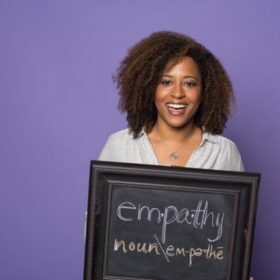 Sharon Steed is a corporate empathy and communications consultant as well as an international keynote speaker. Sharon is a subject matter expert on communicating with empathy. She has spoken at companies on improving team communication and collaboration; at tech conferences on vulnerability as an asset; and has given a TEDx talk on empowering insecurities.